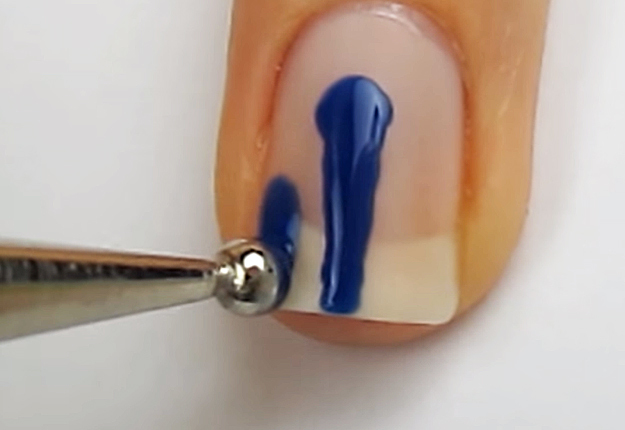 This nail art idea is one of the most entertaining things I have done lately (I know this does not say much good about me, but hey…) I think teens are always looking for unique new nail art, so I love this one. However, I think it is a cool nail design for just about anyone who is looking for something fun and different to try. I love this in the primary colors, but also think pastel nail polish or even some other muted shades would make cool nail art designs. Check out the Youtube video for step by step instructions. 1. Start with a base coat to protect your natural nails. 2. Next, paint your nails a shear pink. 3. Add a matte top coat over the nail. Once it dries, it would remove any shine. 4. Use big dotting tool to create 2 or 3 long drips of paint. 5. Next, use a smaller doting tool to connect the drips with curved lines. 6. Fill in the empty spaces. 7. Lastly, add a top coat only to the dripping paint. 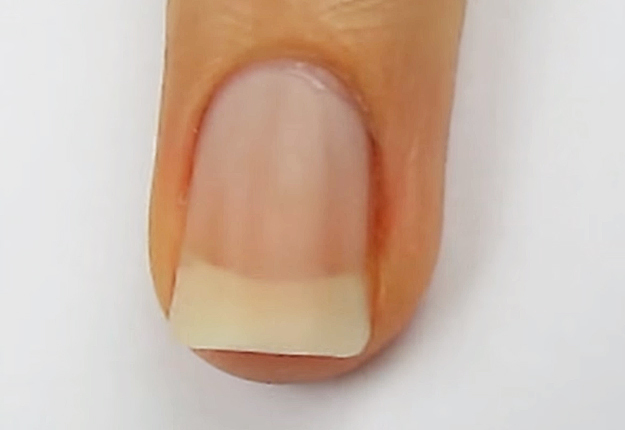 This will create the illusion of the paint that is looking wet because of the contrast against the matte nail. 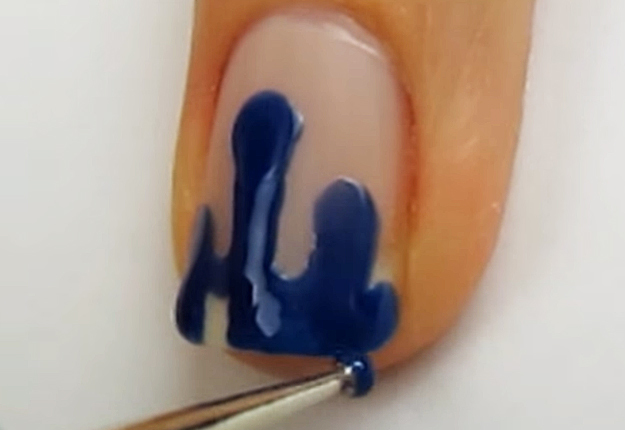 And that’s how you do a gorgeous Dripping Paint Nail Art.